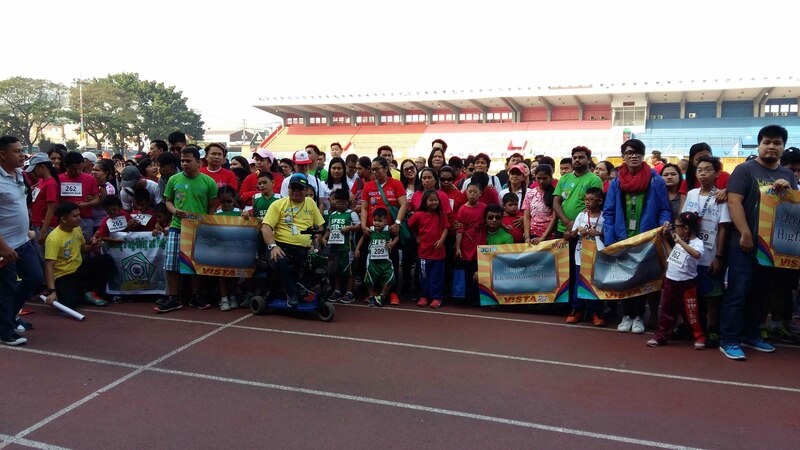 Now on its ninth year, the Visually Impaired Sports and Training Advocacy (VISTA) games being organized annually by Parent Advocates for Visually Impaired Children (PAVIC) and supported by the National Council on Disability Affairs (NCDA) including non-government organizations and cause-oriented groups. 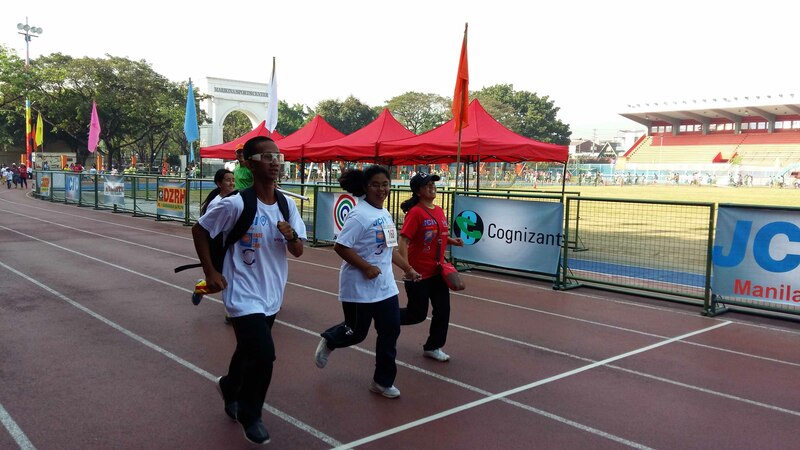 This sports event is being participated in by elementary and high school students who are blind and visually impaired from the National Capital Region, Regions 2, 3, 4-A and 5 to compete in different sports events. Participants together with their coach-trainers pose for posterity during the VISTA Games. Around 200 student-athletes competed in various athletic events that include track and field, adaptive table tennis, chess, swimming, goal ball and other fun games. The VISTA Games is the avenue where blind and visually impaired children are honed of their sports prowess including building sportsmanship and camaraderie among and between themselves. This is also the venue to screen potential athletes with disabilities who can be selected for international sports competitions, such as Paragames and Paralympics. Technical officials of the Philippine Sports Association for the Differently Abled (PHILSPADA) officiated the day’s event. Mr. Leo Q. Lee, President of PAVIC, acknowledged the support of its partners and sponsors, namely; NCDA, Department of Education (DepEd), Junior Chamber International (JCI) Philippines, Resources for the Blind (RBI), Polytechnic University of the Philippines (PUP), PHILSPADA, and the City Government of Marikina, among others.